How amazing is that? Two lonely swans maybe they could get together! The bridge or tunnel looks rather long and dark! Wonderful! Thanks for the pingback. Neat composition! Thanks for the pingback! What a beautifully composed picture! 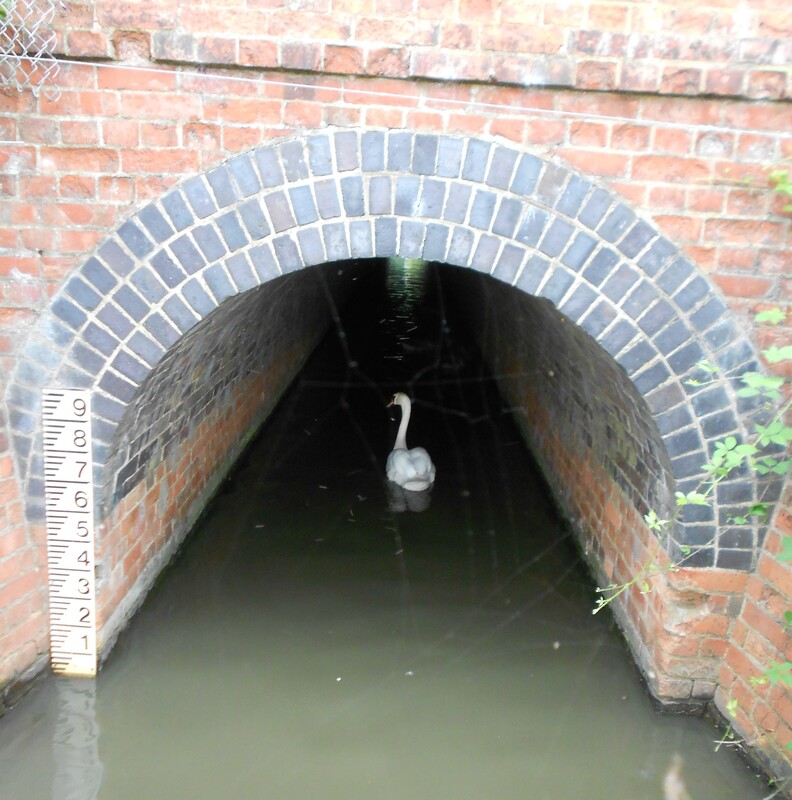 But beyond that there’s something about the white swan heading into the dark tunnel that makes this shot almost ominous – perhaps because the slender neck makes it look so vulnerable. Very impressive. Thank you. It is actually a passage through from one lake to another. I know it well, but have never seen a swan negotiate it before. It was a ‘must have’ shot. Lovely – he really is solitary in there! I might just do that. Thanks for the suggestion.